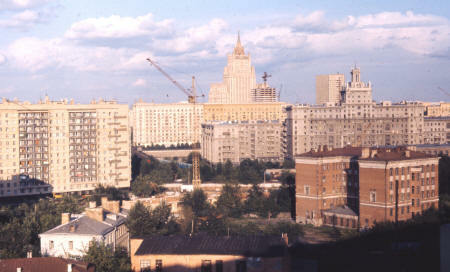 Moscow is one of the world's great cities. Situated on the picturesque Moskva River, the Kremlin and Red Square mark the heart Russia's capital city. Gorgeous palaces, churches and historic buildings are among Moscow's many attractions. For entertainment, enjoy a Russian ballet, a river boat cruise or an excursion to the Trinity Monastery. Many airlines now offer direct flights to Moscow from major European cities. Train service is also available. The efficient Moscow subway system provides visitor's with easy access to the city's top attractions.